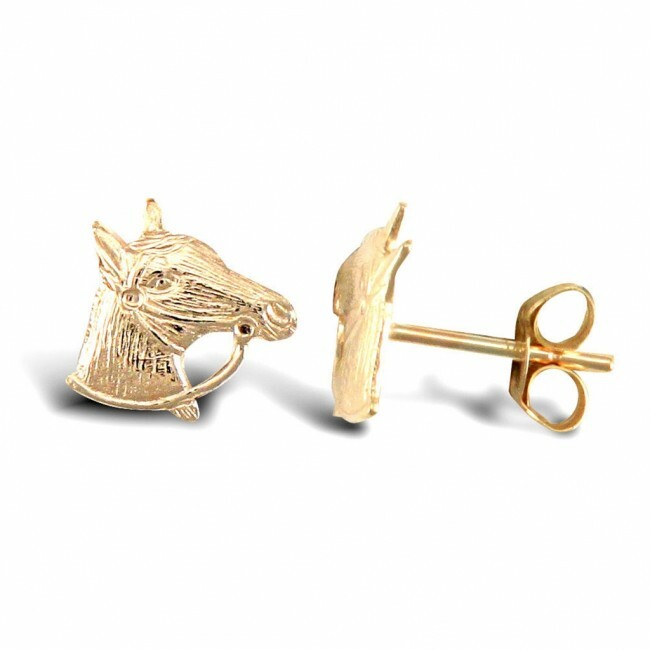 9ct gold horse head with reins stud earrings. Earring Height 8mm x Width 8mm. Approximate earring weight 0.2 grams.